This 3.5" slate over aluminum soundboard call produces an ultimate sound unlike any other slate call you have heard. Yelps are course and raspy with strong volume with good purrs and clucks. The Leopardwood pot is a rich brown color with a grain resembling fish or reptile scales. 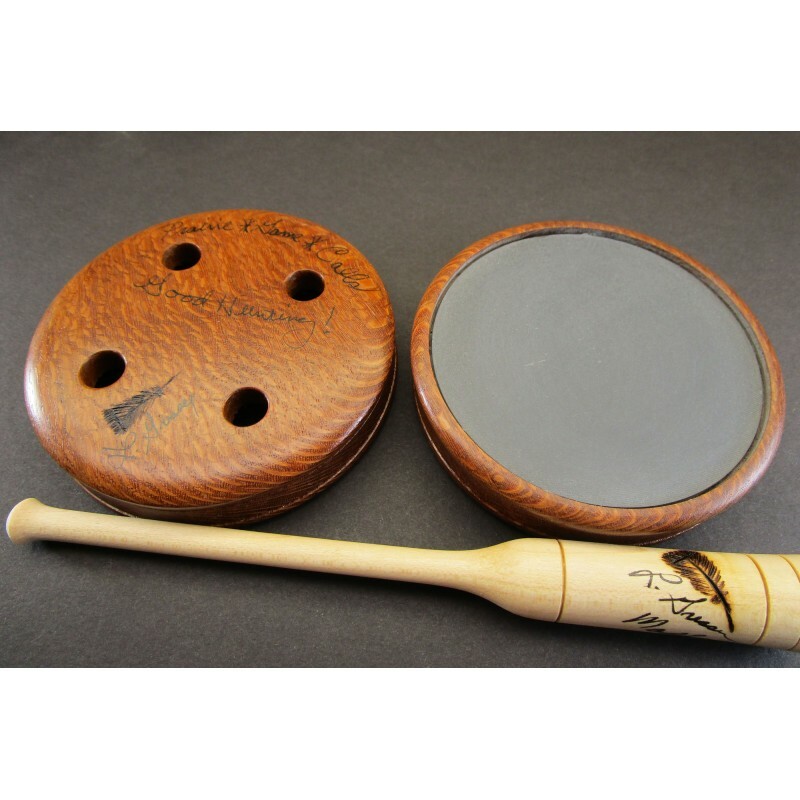 Includes a Hard Maple custom one piece striker. Signed by call maker, Larry Gresser.